The Church cannot be strong if a majority of its leaders and members come from weak families, said President Dallin H. Oaks on Aug. 24. 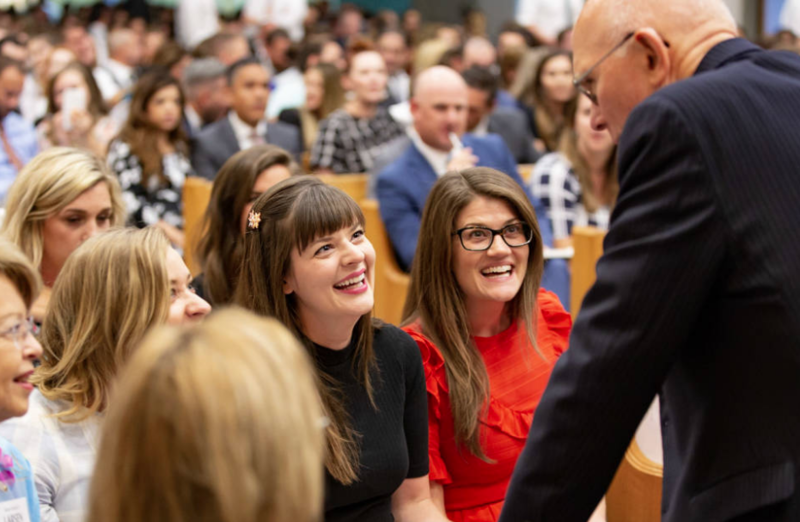 Directing his remarks to the sometimes “neglected group” of “extraordinary importance,” President Oaks, first counselor in the First Presidency, addressed young married couples from 11 stakes in the Los Angeles area. The Brethren are informed “about the world in which we live,” but “we are even more intensely informed about our own members — the challenges they face in medical care, mental health, public schools, higher education, employment, the market place, retirement, and in their personal relations such as marriage, childbearing, adoption, child-rearing, challenges to faith such as questions about Church history, same-gender attraction, transgender issues, etc.,” he said. President Oaks’ message hit home for many in the congregation. I have read every story on this talk. He said nothing about mental illness other than that they are aware of it. Do they have advice for the sufferers or their families?